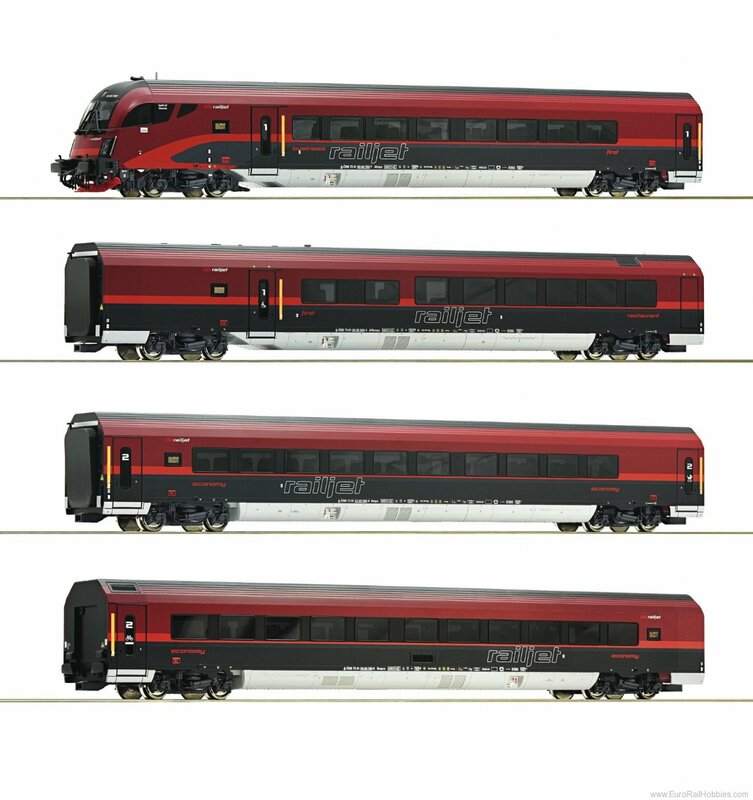 4 piece set: “Railjet” with license to haul trains in italy of the Austrian Federal Railways . Epoch VI. With digitally switchable interior lighting.